Macy’s knows that its customers reflect the broad range of ethnicities that compose the American landscape. More than half of its customers in top markets are minorities, according to Businessweek. Macy’s also knows that it’s a challenge for small businesses to get contracts with the department store behometh. To reconcile and address these two facts, Macy’s created a training program to encourage and mold minority vendors for the chain. To deliver the training course, Macy’s partnered with Boston-area school Babson college and coordinated a four-and-a-half-day course taught largely by Macy’s executives including Lisa Price, whose Carol Daughters’ products are sold in Macy’s stores. The program received over 250 applications, from which 22 finalists were selected to participate. Applicants had to submit two years of financial information, product lists, and photos. Classes included lessons on the art of markdowns, supply chains, and raising financial backing. Four of its graduates received contracts with Macy’s in November – two of the women were African-American entrepreneurs. 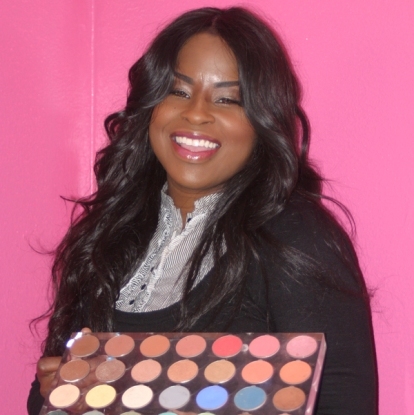 Kim Roxie, founder of Lamik, will be selling her line of cosmetics which focuses on “problem-solving” make-up and kits. Her products will be sold in Macys’s stores in Texas, Louisiana and online. Monif Clarke of Monif C. also got tapped to sell her line of plus-size apparel. Both brands have generated a lot of buzz in the past couple of years and this Macy’s program has proven to give them an extra boost, rather than a foundation, by which to expand their businesses. If this describes you, WELCOME!! !